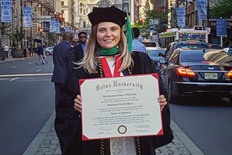 The American Academy of Optometry Foundation announced in early June the 2018 Johnson & Johnson Vision Award of Excellence in Contact Lens Patient Care recipients, 23 in all, and among them was recent PCO graduate Samantha Myers, OD ’18. 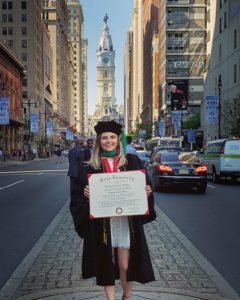 The award and grant recognizes outstanding fourth-year student clinicians who have demonstrated excellent overall knowledge of the contact lens field plus skillful, considerate and professional care of contact lens patients during their optometric education. Each winner receives a $500 educational award, funded by Johnson & Johnson, and a personalized plaque commemorating their accomplishments.